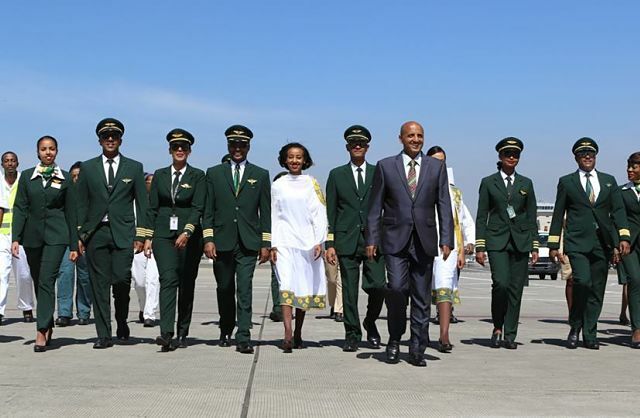 New York (TADIAS) — Ethiopian Airlines has been selected as the official carrier for the 2019 World Press Freedom Day conference that will take place in Addis Ababa next month. This year’s conference will mark the first time in the event’s 26-year history that it will be held in Ethiopia. According to UNESCO — the organizer of the annual international conference collaborating jointly with the Ethiopian Government and the African Union Commission — the theme of this year’s gathering is aptly titled Media for Democracy: Journalism and Elections in Times of Disinformation. UNESCO has announced that the two-day conference will be held at the headquarters of the African Union in Addis Ababa from May 2-3, 2019. The announcement from UNESCO adds that “the main celebration in Addis Ababa will feature two plenaries, various breakout sessions, a youth newsroom, a photo exhibition, a cartoon exhibition, and a film screening. In addition, UNESCO in collaboration with a local university is organizing its annual Academic Conference on the safety of journalists.” There will also be pre-conference events organized by partner organizations on May 1st, 2019. As the World Press Freedom Day conference is underway in Addis Ababa UNESCO says that there will also be simultaneous events held across the globe. For Ethiopia the conference signifies a remarkable change in just over 12 months, from having a reputation of being one of the “worst jailers of journalists in the world” to hosting World Press Freedom Day. It is worth emphasizing that at the present moment there are no journalists in prison in Ethiopia.